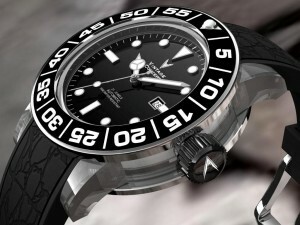 Seen on WristLounge.com, the Vintage Concept W490 is a polycarbonate watch with automatic Miyota calibre 8215 sized at a whopping 50 mm! The silicon band is moulded with an alligator pattern. 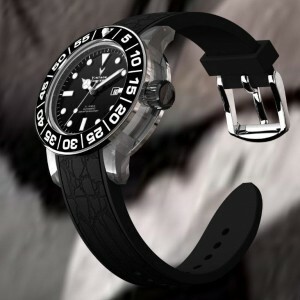 The watch was announced in September 2009, and it can currently be found on eBay.